Paul has completed his EFII installation in Durango Colorado. 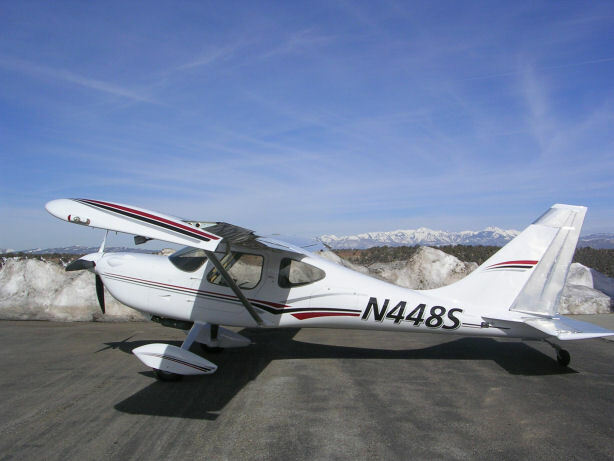 This GlaStar has been flying with it's EFII system since early 2012. 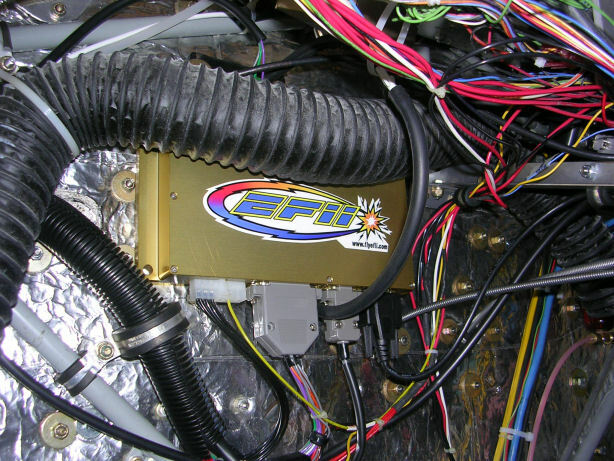 Here you can see the ECU mounted aft of the firewall. 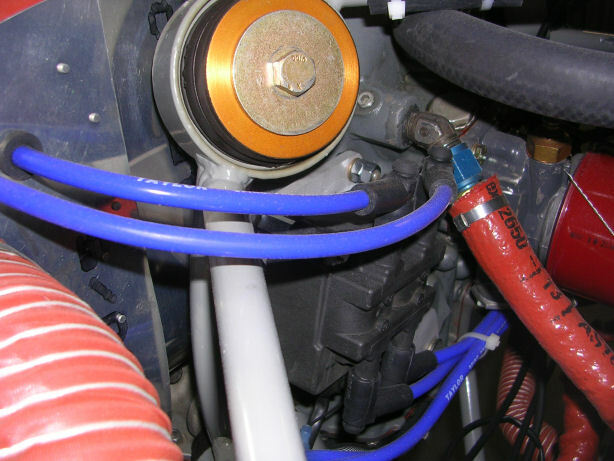 One of the high energy ignition coils can be seen mounted where the left mag used to be. 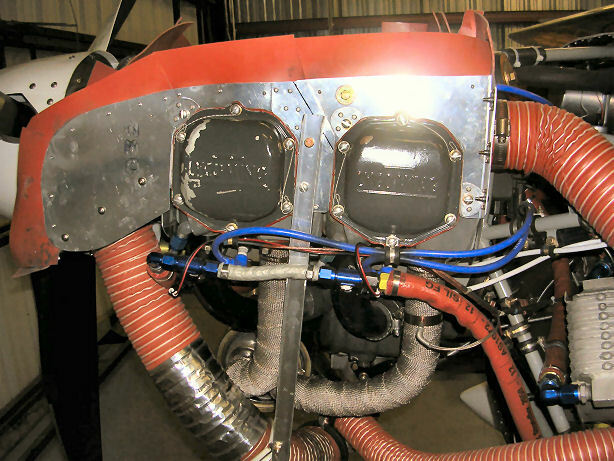 Here you can see the top of the electronic injectors which are mounted on the intake pipes and the "fuel rail" or fuel lines that connect them.